Resurgent since the signing of former England and Manchester United captain Wayne Rooney last season, DC United dropped their 2019 adidas away jersey on Thursday. The new DC United alternate shirt is mainly white like all of the other Major League Soccer away kits released so far in 2019. Its clean look is detailed with a silver crewneck collar and adidas shoulder stripes. Four silver stars representing the club’s MLS Cup titles in 1996, 1997, 1999 and 2004 are printed above the DCU crest. “D.C. UNITED” is printed on the outside rear neck of the jersey. 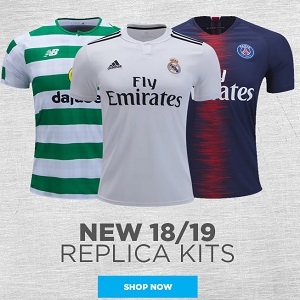 The DC United 2019 adidas away kit will be on sale at World Soccer Shop, Kitbag, Pro:Direct Soccer and UK Soccer Shop in authentic and replica versions.